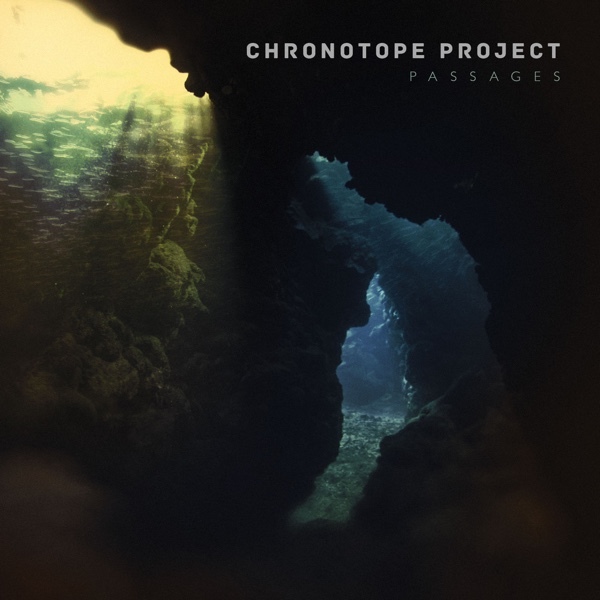 Pulsing with life and emotion, Chronotope Project’s seventh album, OVUM, is infused with subtle creations of delicate melodic electronic music that seem to come from deep within a dream. Drifting synth textures and spellbinding rhythms wind their way through each track, guiding the musical flow and occasionally supporting cello, flute, Irish whistle, and other organic expressions of melody that are both earthly and angelic. The expansive and thought-provoking soundscapes of OVUM float effortlessly through an array of moods that range from tranquil and mysterious to soaring and open-hearted, offering an impressive ambient electronic experience full of wonder and serenity. The recognizable hypnotic dreamscapes – always at the nucleus of the Chronotope Project sound – are abundant on OVUM, and composer Jeffery Ericson Allen’s resources include a wide range of hardware and software synthesizers, acoustic instruments and environmental soundscapes. Subtle Berlin-style sequences periodically emerge to lend an incandescent undercurrent to the harmonic and melodic narratives that breathe life into each piece. Ethereal synthesizer pads paint cloud-like harmonies with cirrus strokes, while tribal percussion sometimes appears in the texture to propel a piece to its climax. As with many previous Chronotope Project creations, the expressive sound of the Haken Continuum Fingerboard is frequently featured as a solo instrument. As an archetypal symbol in art, literature and mythology, the ovum represents the Cosmic Zero; awaiting gestation, growth and differentiation, it embodies pure potentiality and possibility. On a conceptual level, the album’s music, track titles, and artwork combine to poetically reflect on the nature of beginnings, seeds, and primordial states of being. The album’s tracks – inspired by ancient ancestors (Olduvai Dreams), meditation (Ovum), the transformation and first flight of a butterfly (Mariposa), Greek cosmological theory (Emanation), primordial life (Primordial), inner truth (Epiphany), and scientific discovery (Starry Messenger) – all express this overall theme of existence, growth, and fulfillment as the slowly developing soundscapes of OVUM reveal their secrets to those who listen deeply. OVUM is the seventh album by Jeffery Ericson Allen as Chronotope Project, and the third to be released on the Spotted Peccary label. Chronotope Project is the recording alias of Oregonian ambient/electronic music composer and cellist Jeffrey Ericson Allen. His seventh recording, titled Ovum, is likewise his third release on the prestigious Spotted Peccary Music label, following his excellent Passages and Dawn Treader albums. Comprised of seven compositions spanning fifty-one minutes of organic-electronic bliss, Allen creates deeply immersive, lushly ambient soundscapes that juxtapose synthetic tones and textures with natural instruments such as cello, flute and Irish whistle. Most notably, as with Chronotope Project’s previous albums, the Haken Continuum Fingerboard is frequently featured as a solo instrument where it often takes precedence as a key signature element. Conveyed by visually captivating artwork intended to represent a primordial state of being, each composition audibly illustrates a subtle emergence from either an earthly seed or cosmic source, which gradually unfolds into a continuously evolving and metamorphosing journey. Inspired by our distant ancestors, the opening piece, “Olduvia Dreams”, effectively transports the listener to remote islands in the Pacific or Indian ocean. Guided along by churning textures and ethno-tribal percussion, the composition eventually blossoms into a luxuriantly flowing arrangement of sensual earthly delight. Exuding the essence of a tropical rainforest, Gamelan-like timbres, ethereal tones and fluttering flutes further paint a surreal and primeval paradise. Deeply meditative and supremely mesmerizing, the title track, “Ovum”, slowly unfurls into an all-encompassing environment permeated by haunting glissando throughout, as the piece effectively evokes subtle shapes and colors that seemingly morph into suspended liquid formations. Illustrating the transitional process of metamorphosis, “Mariposa” (Spanish for ‘butterfly’) ensues with soaring glissando and a drifty bassline amid lightly rhythmic Berlin-School sequencing. The particularly spellbinding, “Primordial”, seemingly evokes a biotic alien world of primeval oceanic lifeforms and nocturnal bioluminescence. In an ode to scientific discovery, “Starry Messenger” perfectly concludes the album with an encircling illuminated environment comprised of iridescent bell-timbres in tandem with prolonged arcs of cello and flute. An indescribably beautiful piece that perceptively alters one's state of mind, it seemingly leaves the listener with a feeling of elevated awareness and conscious expansion.